Shopping with Agohra is a snap. Here’s a brief walkthrough designed to guide you through using the app for the first time. If you have any questions that aren’t answered here, feel free to check out our FAQ or reach out. First, create your account by choosing a username and password. 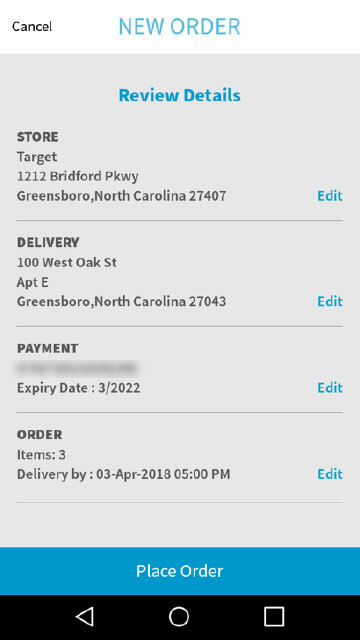 Since you’ll be using the account to shop, and not to deliver orders, make sure the toggle is switched to “Order.” (You cannot use one account to be both a shopper and delivery driver at this time.) 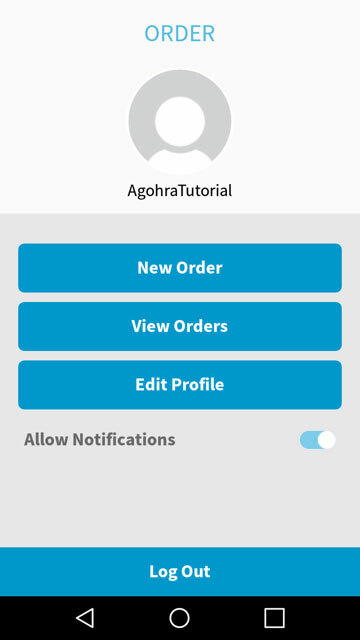 If you’d like to deliver for Agohra, click here to view our tutorial for delivery drivers. 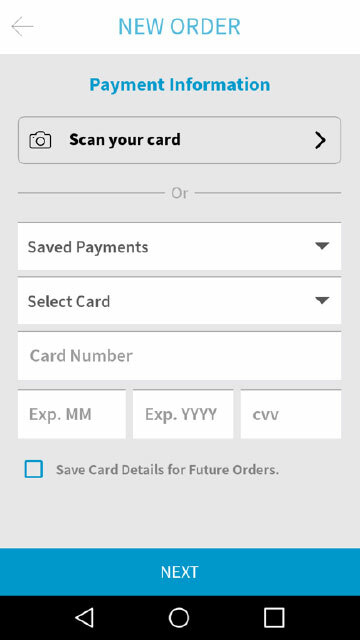 Once you’ve entered your info, you’ll be taken to a home screen with three options: New Order, View Orders, and Edit Profile. For now, you’ll press “New Order.” In the future, you can click “View Order” to see orders you’ve already placed. 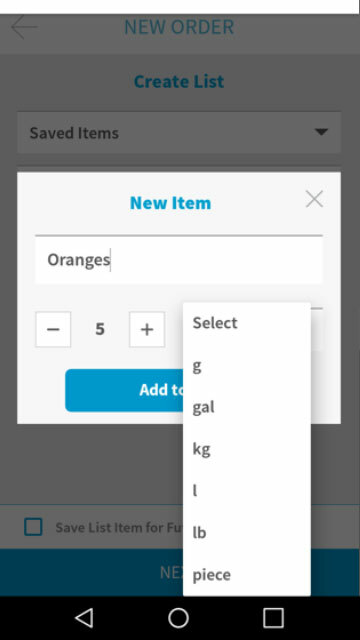 You can press Edit Profile to add important details that will help make ordering even faster next time. Where do you want your items to come from? 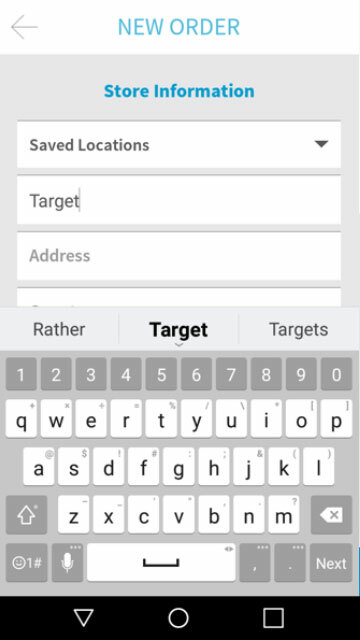 Simply start typing the name of the store, and the app will present you with a list of options near you. 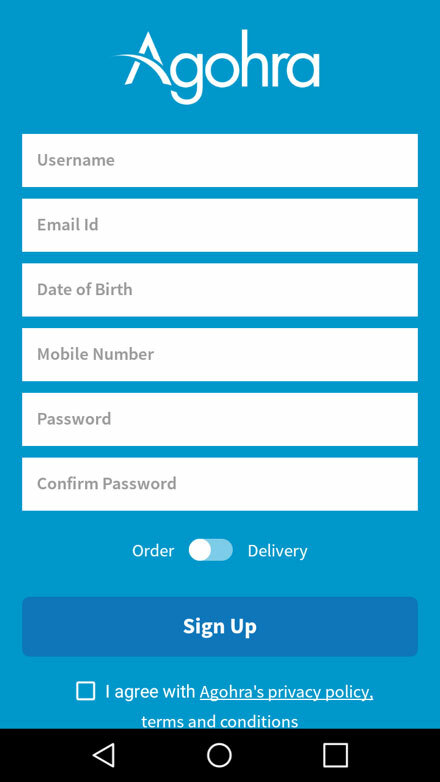 Select a store, and the app will autofill its address. Tap the “save location” box if you’re planning to order from this store again—it’ll make ordering next time much faster. Don’t see the store in our database? You can always type in an address manually. 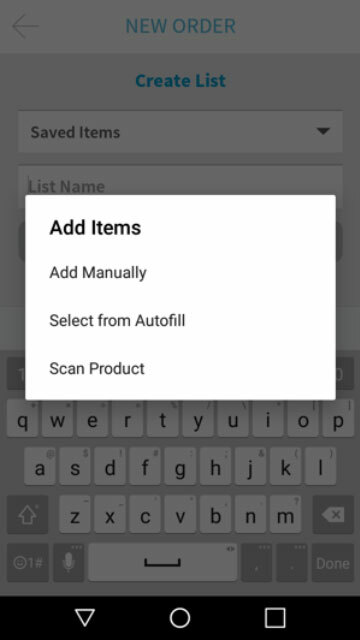 Select from Autofill – Start typing the name of your item, and our database will automatically present you with a list of options. Add Manually – If your item probably isn’t in our database—for instance, a pink sweater with orange stripes—you can simply type it in manually. Scan Product – Say you have a can of paint, but need a second one. You can scan the item’s bar code to add a duplicate to your list. Agohra drivers can take your order to any address that has a live person ready to receive it. So, you can enter your own address here; or send a delivery to friends, family members, or coworkers. 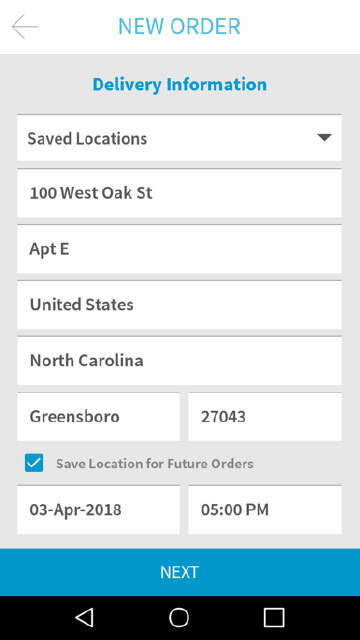 Once again, you can check “Save Location for Future Orders” to ensure you’ll never have to enter that address again. (Be advised that the address you see here doesn’t exist. We made it up.) Finally, choose the date and time you’d like the order to arrive. Make sure to choose a time that’s in the future, not the past. Our drivers are pretty good, but they have limits. Delivery drivers in your area will bid on your order. We allow drivers to set their own delivery fees, and shoppers can choose the offer they like best. Once you’ve selected a driver, you can communicate any follow-up details to them via the app or old-fashioned text message. The driver will head over to the store you’ve selected and do your shopping. 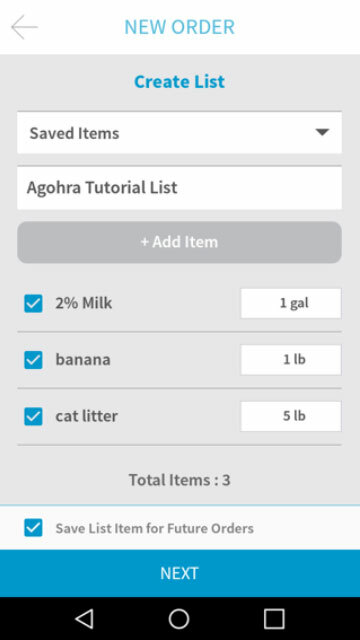 If they have any questions (like “are these bananas ripe enough?”) they can send you an image of the items through the app. Once your driver is ready to purchase your items, they’ll take a picture of the receipt and send it to you. If everything checks out, you can pay for the order immediately through the app. 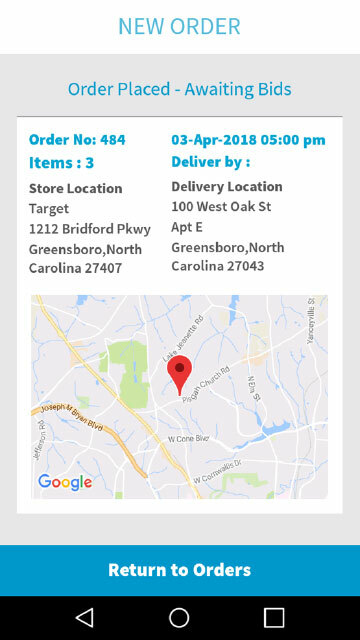 The driver will bring the items to the address you specified. Once you’ve confirmed that you’ve got the goods, they’ll be on their way. No need to grab your wallet; your credit card will be charged the amount on the purchase receipt, plus the delivery fee. That’s it! Thanks for checking out our tutorial. Hopefully, all your questions have now been answered. If you still have questions or concerns that our FAQ can’t answer, feel free to send us an email, and we’ll get back to you as soon as we can.